Tax season is underway, here are some helpful tips to remember as you file this year. 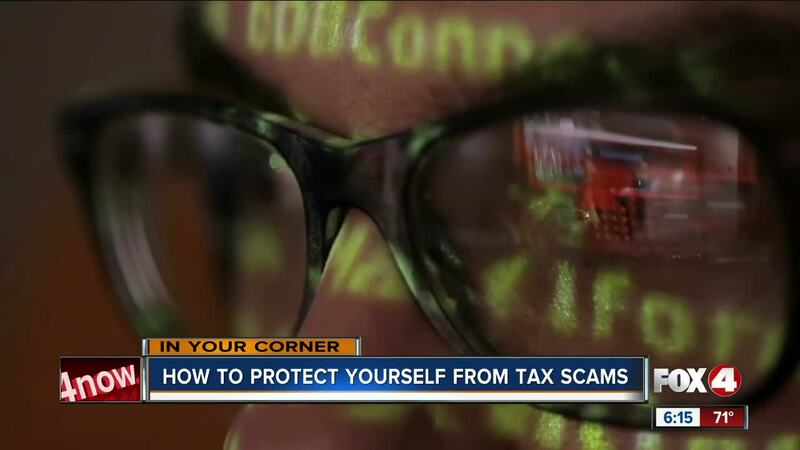 FORT MYERS, Fla. -- Tax season is in full swing and along with filing, be on alert for scams this tax season. Some important reminders, the IRS doesn't call, text message, or send emails. “I just think people need to be careful, as technology continues to evolve, these tax scams are going to get more sophisticated,” said Julio Barina, Tax Manager, Markham, Norton, Mosteller Wright & Company, P.A. Tax expert Julio Barina says scammers have a new twist on sending emails posing as the IRS. “Now what they are doing when they steal your identity they are actually filing fraudulent tax returns and having refunds deposited into tax payers accounts,” said Barina. Barina says next you might get a call saying the tax return deposited was a mistake and ask you to pay back the money. “The IRS is not going to send you an email, the IRS is not going to call you for information, they got all that information,” said Barina. The IRS only contacts you through certified mail. If you've received a fake email, the IRS wants the phishing scam to be reported to phishing@irs.gov. And if you've lost money, fill out the Treasury Inspector General Administration form .